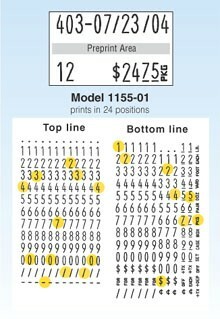 Offers BIG print and lots of print options with 12 characters per line! The 1155 isn't just a pricer, it can print vital day-to-day information such as SKU, date, vendor code, and more. The print is large and easy to read. Largest labels we offer!